The 12th annual Record Store Day will take place on Saturday at more than 1,500 independent retail shops in the United States and abroad. Record Store Day began as a grassroots effort to raise the profile of independent brick-and-mortar retailers, some of whom were desperately struggling to survive due to competition from online outlets. The annual event has evolved into a massive international celebration that features in-store performances, film screenings, book signings and a vast array of exclusive releases, most of which are 12-inch LPs. But the goodies also include 7-inch singles, 10-inch vinyl, CDs, DVDs and—in the case of Prince—a cassette. Fans can line up Saturday to snag releases by Louis Armstrong, the Art Ensemble of Chicago, Erykah Badu, David Bowie, Bob Dorough, Dave Douglas, Bob Dylan, Bill Evans, Aretha Franklin, the Grateful Dead, Herbie Hancock, Hawkwind, José James, Janis Joplin, Wynton Marsalis, Wes Montgomery, Cecil Taylor, Tedeschi Trucks Band and others. Shoppers should prepare for long lines of enthusiastic collectors because some of the titles are limited to only a few hundred copies worldwide. In collectors’ parlance, Record Store Day releases are divided into three categories: RSD exclusive releases, RSD limited-run/regional focus releases and RSD First releases. RSD exclusive releases are available exclusively on Record Store Day at participating stores. The rarest titles are the limited-run/regional focus releases, all of which are available in very small quantities, and many of which are only available in certain geographic regions. In contrast, the least-collectible albums are “RSD First” titles; these are available at participating stores for a limited amount of time before they become widely available at other outlets at a later date. To help shoppers plan their strategies, DownBeat presents its Top 11 Gems for Record Store Day. 1) Bill Evans, Evans In England (Resonance). This collection of previously unreleased music was recorded in late 1969 at Ronnie Scott’s in London, where Evans was joined by bassist Eddie Gomez and drummer Marty Morell. The extensive packaging includes essays, rare photos and interviews with Gomez and Morell. 2) Art Ensemble of Chicago, The Spritual (ORG Music). Recorded in 1974, this LP features Roscoe Mitchell, Lester Bowie, Joseph Jarman and Malachi Favors. 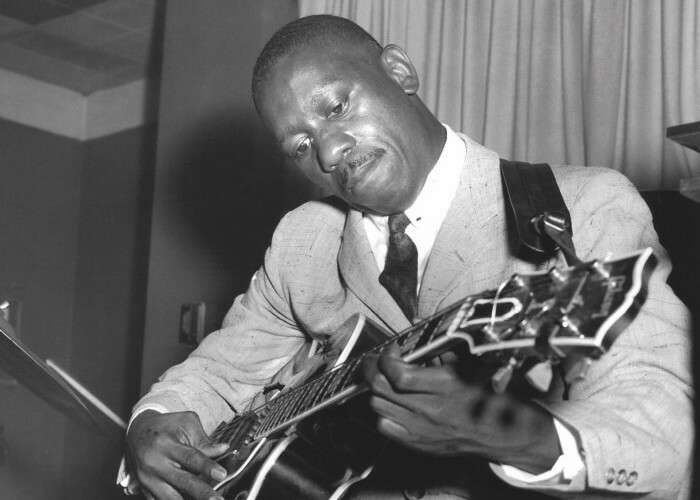 3) Wes Montgomery, Back On Indiana Avenue: The Carroll DeCamp Recordings (Resonance). This previously unreleased collection includes recordings from the 1950s, as well as liner notes with George Benson and John Scofield interviews. 4) Wynton Marsalis, Bolden EP (Blue Engine). This “RSD First” title serves as a preview for Marsalis’ forthcoming soundtrack to the film Bolden, about New Orleans trumpeter Buddy Bolden (1877–1931). 5) Prince, The Versace Experience: Prelude 2 Gold (Legacy). During the 1995 Fashion Week in Paris, lucky attendees of designer Gianni Versace’s show received a Prince cassette. Now, surprisingly, Legacy is reissuing the 15-track collection in the same format. 6) Steve Gadd Band, Steve Gadd Band (BFM Jazz). This Grammy-winning album from 2018 is being issued on vinyl, but it is limited to 500 copies. 7) Alice Clark, Alice Clark (WeWantSounds). Produced by Mainstream Records’ Bob Shad in 1972, the only album recorded by the late Clark has become an elusive soul-jazz artifact. This deluxe reissue is accompanied by a 20-page booklet that explains the origin of the album and provides details about the mysterious singer. 8) Cecil Taylor, The Great Paris Concert (ORG Music). This quartet album from the avant-garde pianist has long been out of print on vinyl. 10) Various Artists, Rough Guide To Arabian Jazz (World Music Network). Record Store Day provides a great opportunity to discover new sounds. Artists appearing on this set include pianist Maurice El Médioni and oud player Joseph Tawadro. 11) Janis Joplin, Woodstock–Sunday August 17, 1969 (Legacy). Joplin knocked everyone out at the Monterey Pop Festival in 1967 and then two years later wailed at what is now an even more famous rock festival: Woodstock. Some tips for newbie shoppers: Visit the Record Store Day website to check the quantities of the titles that interest you. See what time your favorite shops open. Some stores will open early on Saturday, and there are ambitious retailers who host midnight sales that begin at 12:01 a.m. Remember that if one store sells out of what you’re seeking, another nearby store might have it, but there is no guarantee. Even if you don’t get that gem that had you salivating, you can still have fun and support your local independent businesses. Some stores offer free snacks, and many present live performances.